I struggled with what to choose for my Z word – zeal, zealous, and zest were the contenders. According to Thesaurus.com, zest is a synonym for zeal. That is good, because zeal rhymes with veal and zealous rhymes with jealous and in Autocorrect style, my ear and eye replace the Z’s with the other letters every time. Since I don’t care to associate beauty with jealousy or baby animals on plates, I am going with zest. Besides, ZEST makes a great acrostic. I know an educational leader who overflows with zing – she is also strong and truthful about what excites her. Her heart beats with the heritage of her nation. A female Atlas, she carries her country’s culture on her shoulders and broadcasts it joyfully to everyone. Her pride is strong, her manner is electrified with purpose and panache. Anyone near feels her passion and is inspired to explore her culture and/or their own. A grand dame of beauty, she is zest incarnate. We all know people like this. Their zesty fire is invigorating. We also know story characters with passion coursing through them. Zest and passion beautifies people and story characters. It changes their skin and eyes and the way they carry themselves. They glow. They shine. They electrify. Young people launching into their lives often carry such a zesty beauty – they are full of hope and optimism and have the verve and nerve to make it so. But that kind of beauty is not reserved for the young and able-bodied. Anyone of any age or bearing can be beautiful for their zest! The woman I spoke of earlier is a grandmother who is close to retirement. And she is gloriously beautiful. As we think about what it means to be beautiful and what attracts others, let’s remember this quality. Zesty souls breathe color and piquancy into the landscape of the world. You can describe the zesty as the beauties in your stories, adding zest to the hearts and minds of readers and listeners. Remember the educational leader who carries her culture on her shoulders like Atlas? Be zesty like her and shake up the world – you will make a world of difference for those who hear or read your stories. I hope you will use the power of your words to Reimagine Beauty. 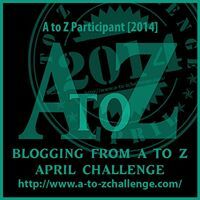 The A to Z Challenge has been a delight and privilege to participate in. I have one more post though, as I am ever just outside the box and a bit beyond the rules. Not a 27th letter though! See, as a writer/storyteller, I like literary balance. Since the first A to Z post came prior to the letter A with the Great Theme Reveal – I want to bookend this by sharing one more post, after the letter Z, a mini-epilogue of sorts. Look out for that soon. Thanks for reading and stay in touch.